Sneak Peek a new 'werewolf' tansformation sequence, from the Ontario-lensed TV series "Hemlock Grove", airing exclusively on Netflix from executive producer Eli Roth, Brian McGreevy & Lee Shipman, produced by Gaumont International Television, for an April 19, 2013 debut. The TV series adapts McGreevy's novel "Hemlock Grove". "...a girl is found dead near the former 'Godfrey' steel mill. 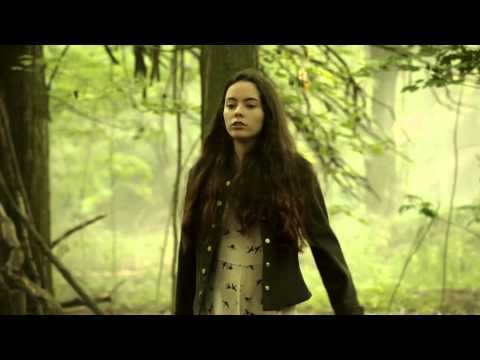 As rumors mount, two of the suspects in her killing, 'Peter Rumancek', a 17-year-old trailer trash kid rumored to be a 'werewolf' and 'Roman', the heir to the Godfrey estate, decide to find the killer themselves..."
Cast includes Famke Janssen, Bill Skarsgård, Landon Liboiron, Penelope Mitchell, Lili Taylor, Dougray Scott, Aaron Douglas, Nicole Boivin, Tiio Horn, Kandyse McClure, Freya Tingley, Ron Mustafaa, Eliana Jones, Emilia McCarthy, Alyssa Sworn and Don Francks. Production of the $45 million-budgeted first season continues at Cinespace Film Studios in Toronto, Port Perry, Ontario, Toronto's Deer Park United Church and in Hamilton, Ontario at the 'Hamilton Cemetery'. 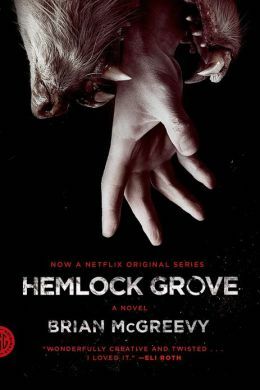 Click the images to enlarge and Sneak Peek "Hemlock Grove"